ISSEY MIYAKE KYOTOKURA Exhibition: IKKO TANAKA ISSEY MIYAKE | News | ISSEY MIYAKE INC. 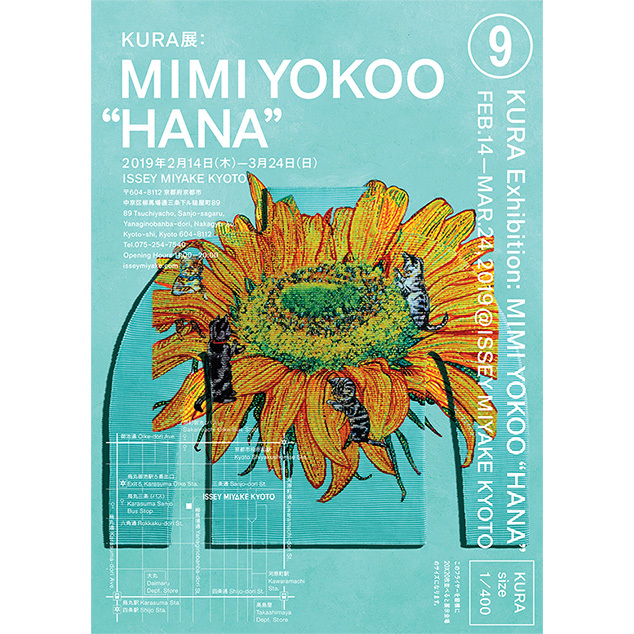 The KURA gallery of ISSEY MIYAKE KYOTO presents KURA Exhibition: IKKO TANAKA ISSEY MIYAKE. This exhibition presents the fourth volume of IKKO TANAKA ISSEY MIYAKE inspired by the work of Ikko Tanaka, one of the most influential Japanese graphic designers who left a great legacy in the history of design. 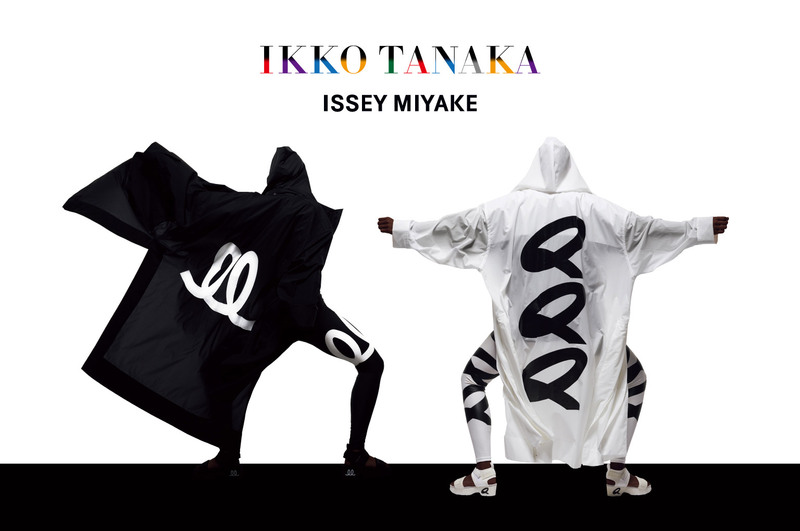 Launched in 2016, the IKKO TANAKA ISSEY MIYAKE collection is designer Issey Miyake’s tribute to Tanaka, for all the inspirations and sparks of excitement he brought about. The collection is not just a true　representation of colors and shapes of Tanaka’s design. Wearing it as clothing adds another dimension to the appeal of his aesthetic as the very colors and shapes become lively and invigorated. 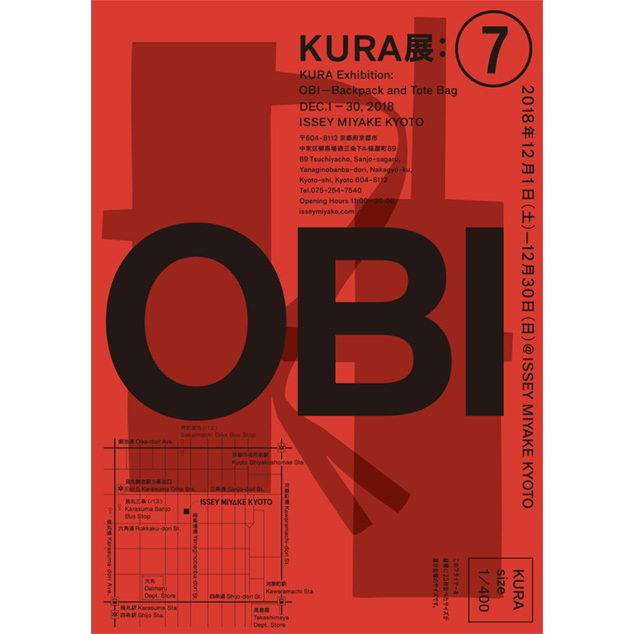 Posters of the “Continuous Symbol” series are exhibited along with items of clothing and accessories designed based on the series. “Continuous Symbol” is a series inspired by the architectural quality of the space at Otemae Art Center designed by Tadao Ando. Compared with the hand-drawn, free-form expression often found in Tanaka’s work up to this point, the series features a plain black or white background with geometric forms. The design is strong, and something about it evokes a sense of humor. The clothing and accessories respect every detail of the original and express it in a variety of materials in a simple, sporty style. Ikko Tanaka always challenged himself to create innovative graphic expressions. It is Miyake’s intention that, by translating Tanaka’s design into the form of clothing, IKKO TANAKA ISSEY MIYAKE introduces a new perspective from which people learn the joy of design and the possibilities it holds.